Creating a marketing strategy can be a daunting task for entrepreneurs and startups. That's why the Cocktail Napkin Plan® was created -- a 4-step simple system to create a 1-year timeline with goals in place. 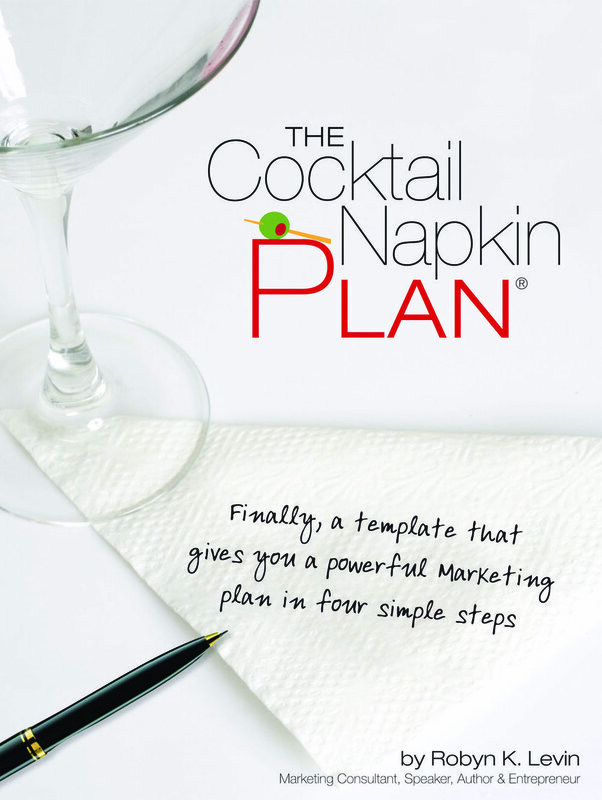 Cocktail Napkin Plan® is a simple interactive Marketing 101 Template designed by an entrepreneur for entrepreneurs -- your 4-step plan to marketing success! Cocktail Napkin Plan® -- Get Clear | Get Focused | Take Action! Marketing Strategy Template w/a 1-year timeline to complete your goals. Easy! Do you need a clear vision to grow your business faster? Do you feel overwhelmed or frustrated with all of the web marketing choices available? Are you disappointed with your website results? Do you want thousands of dollars in FREE publicity? Do you need to raise funds for your business? If you answered yes to any of these questions, this marketing strategy template is for you.